Let’s encourage, connect and equip innovative small church leaders as each one plays their part. How can we activate the astonishing power of small churches? As we’ve already seen in the previous two posts in this series (here and here), over one billion people worship Jesus in small churches tucked into every corner of the globe. What could we possibly do to light the fuse that would allow us to tap into this astonishing potential? How would we structure it? What should we tell them to do? And who can we call upon to lead it? We wouldn’t, we shouldn’t and we can’t. We don’t need to light the fuse. It has been lit already. This is something God has done. He did it without us creating a plan for it. And he did it mostly without our cooperation. He did it with many of us fighting it every step of the way – including me, until recently. The quickest way to kill it would be to put a person, a blue-ribbon panel or (God forbid) a committee in charge of it. While we’ve been obsessed with building large congregations, God has been planting small churches like spiritual seeds in thirsty ground. 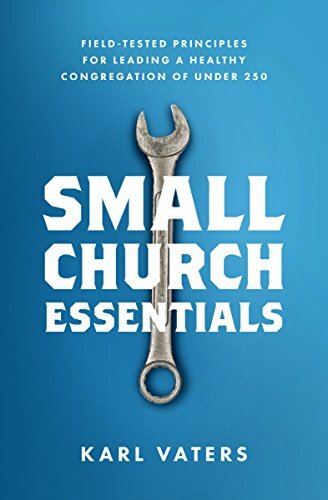 While we’ve been obsessed with building large congregations, God has been planting small churches like spiritual seeds in thirsty ground, into every possible furrow on earth. Alongside our big church brothers and sisters, not competing with them. We’ve only begun to recognize this phenomenon, let alone appreciate or utilize it. Let’s refuse to buy the lie that size is an accurate measure of the health or strength of a congregation. It’s not. Small churches need our prayers and support, not our condescending ideas about how to “fix” what isn’t wrong. Let’s encourage, connect and equip innovative small church leaders as each one plays their part in this extraordinary work – starting by recognizing just how extraordinary the work is. Let’s try not to mess up what God is doing this time, shall we? This is the one concern I have as I work to point out the value of small churches. I pray that, by bringing this extraordinary work of God to light, we won’t be tempted to overstep our place and mess this up by trying to help God out. The history of the church is filled with examples of our bewildering capacity to mess up what God has started. And the massive flood of small churches throughout the world is definitely something God has started. Join in the conversation about this post on Facebook. Jesus took on death willingly, to defeat it permanently. Evangelism isn’t about sales, it’s about relationship. It’s not about filling a building with people, it’s about filling people with Jesus. Denominations that support and enhance the biblical mission of the local church will thrive. Those that don't will continue to decline. If you want to be happy with where God takes you, be content with where God has placed you.